Home » Blog » Uncategorised » Why SLAM? In a world where the level of technological advancement is increasing exponentially, human labour is becoming obsolete. Many organizations are replacing human labour with machines that are able to do the work in a lesser amount of time with greater precision and cost savings. Hence, an entity called a robot is becoming more and more popular. A robot can be defined as a machine which is programmable and is capable of carrying out complex series of actions automatically. 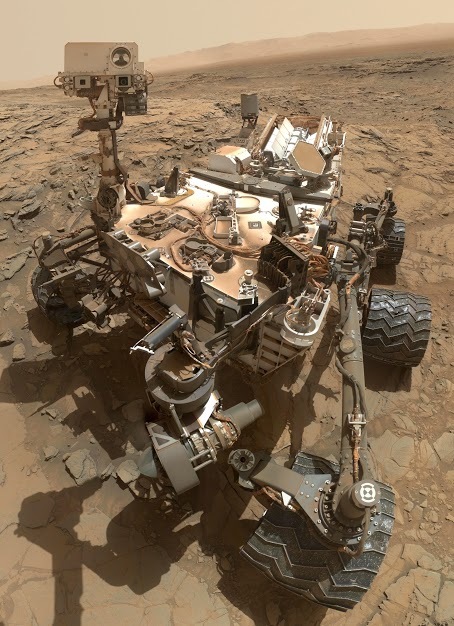 You may have heard of the rover named Curiosity that was sent to Mars. Ever wondered how its capable of traversing the surface of Mars safely? It’s impossible to navigate the rover from earth as the surface of Mars is always changing. What is the alternative then? Not send any rovers? Of course not. 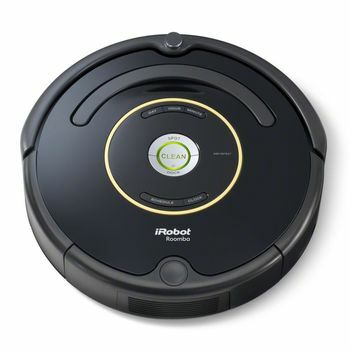 Ever wondered how home cleaning robots work? They can vacuum your home, wash the floors and even keep your gutters free of leaves. Did you hear about the autonomous cars (also known as a driverless car and a self-driving car) that caused much hype in the recent past? These are capable of sensing the environment around it and navigating without any human input. Ever wondered what technology enables these robots to perform these tasks successfully? It’s a technology called Simultaneous Localization And Mapping or SLAM for short. In robotic mapping and navigation, SLAM is the computational problem of constructing or updating a map of an unknown environment while simultaneously keeping track of an agent’s location within it. SLAM is concerned with the problem of building a map of an unknown environment by a mobile robot while at the same time navigating the environment using the constructed map. In SLAM, both the trajectory of the platform and the location of all landmarks are estimated on-line without the need for any previous knowledge of location. In any SLAM application, there are 2 major components. They are as follows. A robot which is used for the navigation. A sensor used for the range measurement. In any SLAM application, the robot used must have precise odometry performance as well as low cost. The odometry performance measures how well the robot can estimate its own position, just from the rotation of the wheels. The range measurement device used is usually a laser scanner nowadays. The most commonly used sensor is the LiDAR sensor. LiDAR stands for Light Detection and Ranging. They are very precise, efficient and the output does not require much computation to process. The downfall of this type of a sensor is that it’s quite expensive. In applications like underwater robots, sonar (Sound Navigation And Ranging) can be used. Hence, depending on the application and the level of accuracy and precision needed, the relevant sensor can be used. A number of important tasks such as tracking moving cameras, augmented reality, map reconstruction, interactions between real and virtual objects, object tracking and 3D modelling can all be accomplished using a SLAM system. Furthermore, the availability of such technology will lead to developments and increased sophistication in augmented reality applications. More sophisticated augmented reality applications are possible due to the fact that, as a necessary step in performing localisation, a map is being built. This enables applications beyond simply adding virtual content into the world coordinate frame, where virtual content can be aware of and react to real objects present in the scene. ​Rather than building up a map of a surrounding environment, a SLAM system can equally well be used to build a 3D reconstruction of an object, simply by moving a camera around it. One important aspect of SLAM and one that we are really interested on is its ability to understand the world around and add value. A great example of such value addition is seen at MIT university. Skycall, one of the universities research groups has designed a drone that lets students call it using a smartphone app that then helps them navigate through the campus (superventures, 2016). This goes to show how far the technology once used in space rovers has come to be implemented in our day today lives. SLAM technology came into household equipments with the invention of the cleaning robot. The vision we have for this technology is to implement it alongside property management, so next time you have a house inspection don’t be surprised if it’s a robot at the door whose replacing your usual property manager.